In The Lady Project series, we dispatch a decidedly low-maintenance reporter to get lacquered and buffed in the name of beauty. 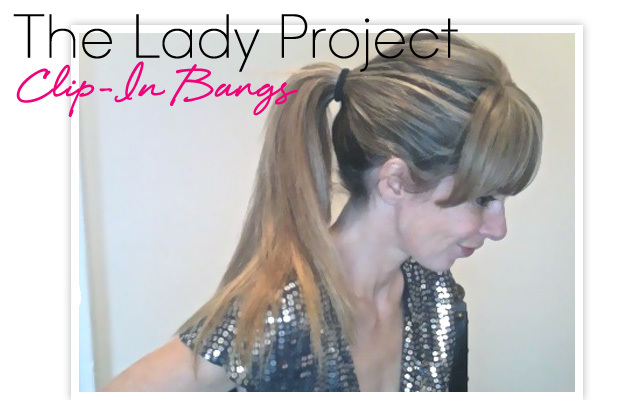 For this installment, contributor Jena Kingsley tests out temporary hair fringe. I had bangs briefly in sixth grade, and I still can’t look at the pictures. They were too thick, cut straight across my face, and made me look more awkward than my braces already did. It wasn’t the first bad haircut I had. When I was in fourth grade, I went to get a haircut by myself (it was on my block and that was a big step for a city kid), and asked for the Pat Benatar. At the time my hair was long, to my mid-back. I left looking like a punk rock fourth grade lesbian. Needless to say, my parents weren't thrilled. Because of my scrawny build and the fact that I never wore dresses or skirts, everyone thought I was a boy and referred to me as a he for a good year or so. Over time, my fear of haircuts grew. Now this is so bad, and I won’t admit this to anyone, except for you, the people of the Internet, but you have to promise to not tell anyone. A couple of years ago, I went for a haircut and they messed it up so badly that one side is actually two inches shorter than the other. And I never got it fixed, because the more they tried to fix it, the shorter it got. Like any unhealthy relationship, I kept going back for more. Don’t worry. We finally broke up. For some reason, I recently got the itch. The itch for bangs. I knew it was a mistake. If I didn’t like them, it would take years to grow them out. So it was perfect timing when rock star stylist, Rebecca Deamer of the Miano Viel Salon told me about clip-in bangs. Bangs that could just clip on and clip off when you wanted them to? Between my fear of commitment and my fear of scissors, I was in. These bangs are made of actual human hair dyed to meet your hair color exactly. Nestor Vivas, my long time colorist (and, and my opinion, the best colorist ever), gave the bangs some lowlights to match my shade. Rebecca combed out the bangs while holding them in her hand. Then she snapped them into place at the top of my head. It’s literally as simple as 1, 2, 3. No really. There are 3 snaps. She then cut them into my hair so they would fall perfectly. These bangs will take you from simple to sassy in a New York minute. Even a novice like me can put them on and take them off as I please. 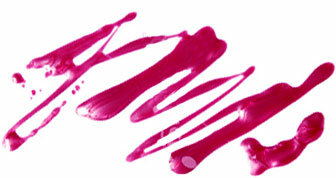 Miano Viel Salon, 16 East 52nd Street, #200, New York, NY 10022. Telephone: (212) 980-3222. Clip-in bangs start at $125.